Vegan friendly formula. Paraben, Soy, Gluten and GMO free. Titanium Dioxide and Mica free. See Mega Lash in action! Click on the video and fast forward to 6:40. Mega Lash is also shown on model in image #8. Shipped in boxes that are manufactured from 50% recycled material. SHELF LIFE: Once opened, we recommend replacing this product every 2-3 months. Expiration date can be found on the mascara box. Award Winning! Winner of "Yoga Journal" and "Muscle Magazine Hers" Beauty Awards. Presented to 2015 Grammy -and- Emmy Nominees and VIP's! Used on Celebrity Emily Ratajkowski for the Entourage Movie Premiere (makeup applied by Jo Baker with Forward Artists). Breakdown of her look (here). Used on Rachel Bloom for the 2017 Emmy's by Pro Makeup Artist, Roxanne Saffaiey (here). See Mega on movie set with Celeb Makeup Artist, Fiona Tyson here. 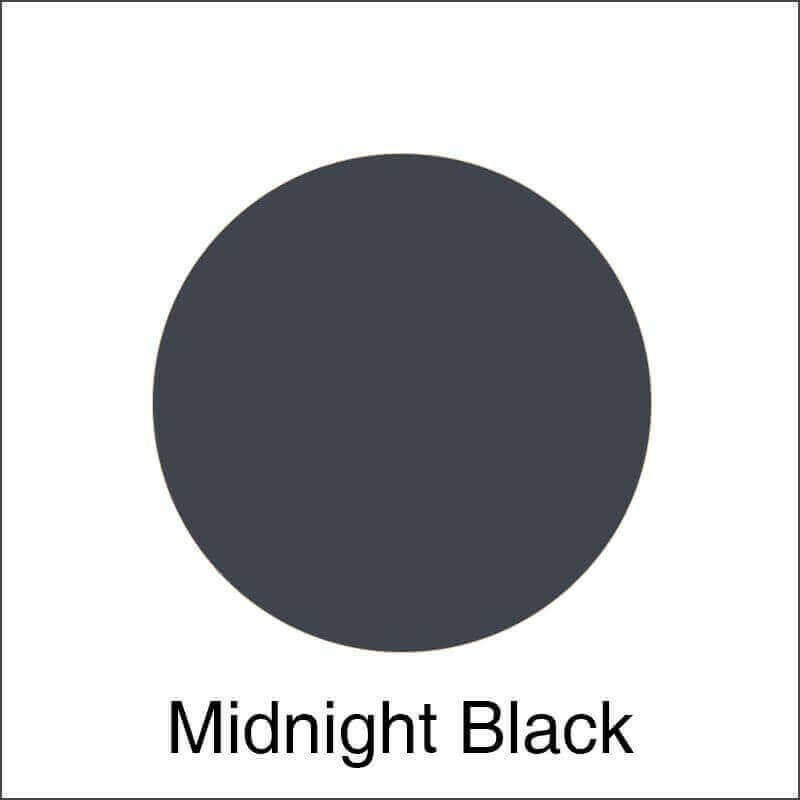 If you are new to this product, we suggest that you limit your first purchase to one unit, as our refund policy will only allow for one unit per item, per shade to be returned for a refund. Be sure to read our refund policy. QUICK TIPS: Although this product is water resistant, it is not waterproof. If you have oily skin or sweat a lot: To prevent mascara from transferring to the eyelids, prime your lids with a translucent powder, such as our Multi Task Powder. Mascara can break down when coming in contact with the oils on your skin, and the primer will help prevent this. Start the mascara application at the base of the lash, and as you move upward slowly wiggle the wand back and forth. This creates a more even application as well as separates the lashes. This also helps "thicken" the lashes. 1. Unscrew the cap from your mascara tube and examine the mascara wand for clumps. If you see any clumps, wipe the wand on a tissue or on the end of the mascara tube in order to remove them. 2. Apply mascara by wiggling the mascara wand slowly and gently from the base of the lashes outward. This creates a more even application as well as separates the lashes. This also helps "thicken" the lashes. 3. Half-close your eye and gently run the mascara wand over the top of your lashes, being careful not to get mascara on your eyelid. 4. Repeat steps 2-3 to apply additional coats until you have the length and thickness you desire. It is recommended to apply additional coats while the mascara is still wet. HOW CAN I GET A FULLER LASH LINE? If multiple coats of mascara aren't providing the fullness you are looking for, check to make sure you are coating the lashes at the inner and outer corners of your eyes. They are commonly missed, especially when applying makeup in a hurry, but can create a fuller look. False eyelashes can also be used for more dramatic looks. SHOULD I APPLY MASCARA ON MY UPPER LASHES ONLY OR ON MY LOWER LASHES AS WELL? For a light, natural look, we recommend applying on the upper lashes only, particularly if you have fair skin and light eyes. If you have darker eyes and/or are looking for a more dramatic look, you could apply mascara lightly on the lower lashes. Wiggle back and forth from root to tip (starting on the upper side of the lower lashes) to separate and add a hint of color. WHEN DO I USE AN EYELASH CURLER? If you are using a manual eyelash curler, please curl your lashes before applying mascara. It is recommended to curl lashes immediately before applying mascara (one eye at a time) for best results. If you are using a heated eyelash curler, we recommend curling after the mascara has dried for best results. REMOVAL: Soak lint free wipe with warm water. Fold wipe in half and place lashes between wipe. Allow lashes to absorb warm water and gently wiggle wipe to remove mascara. Wash cloth may also be used. 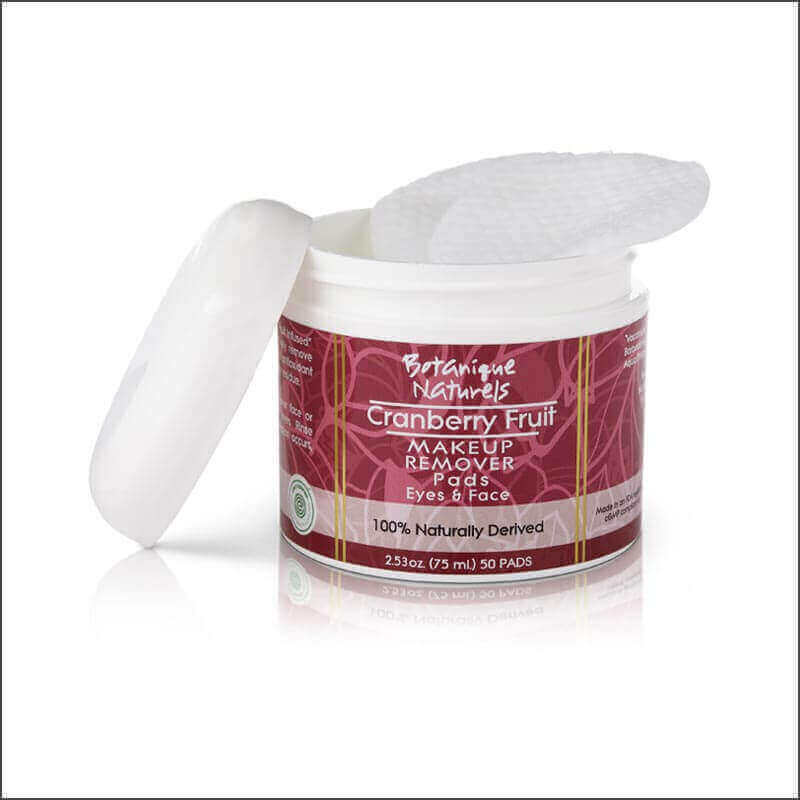 Check out our new Cranberry Fruit Makeup Remover Pads! Celeb Makeup Artist, Fiona Tyson: "Aside from providing the purest of skincare their beauty products are amazing. The Mega Lash Mascara stays and adds luscious volume to my actress’s gorgeous eyelashes making her eyes pop. And at the end of the day that much needed eye makeup remover is a godsend. Thank you Rejuva for creating such purely gorgeous natural products and sharing them with my actors!" Celeb, Lorielle New, received our Mega Lash Mascara at the 2015 Grammy Awards Luxury Gift Style Lounge event, and gave us a shout out! "I received your wonderful Mascara in my gift bag from the Grammy Gift suite!!!! I LOVE it!! THANK YOU! THANK YOU!! THANK YOU! :) Lorielle New." Lorielle has 60 movie, TV, and short film credits credits to her name, including "Up Close & Personal" with Robert Redford & Michelle Pfeiffer. I just wanted to say that I love the new, water resistant mascara. I am a crier and the mascara stayed on. Thank you for this new product. Martie E.
Love your mascara! 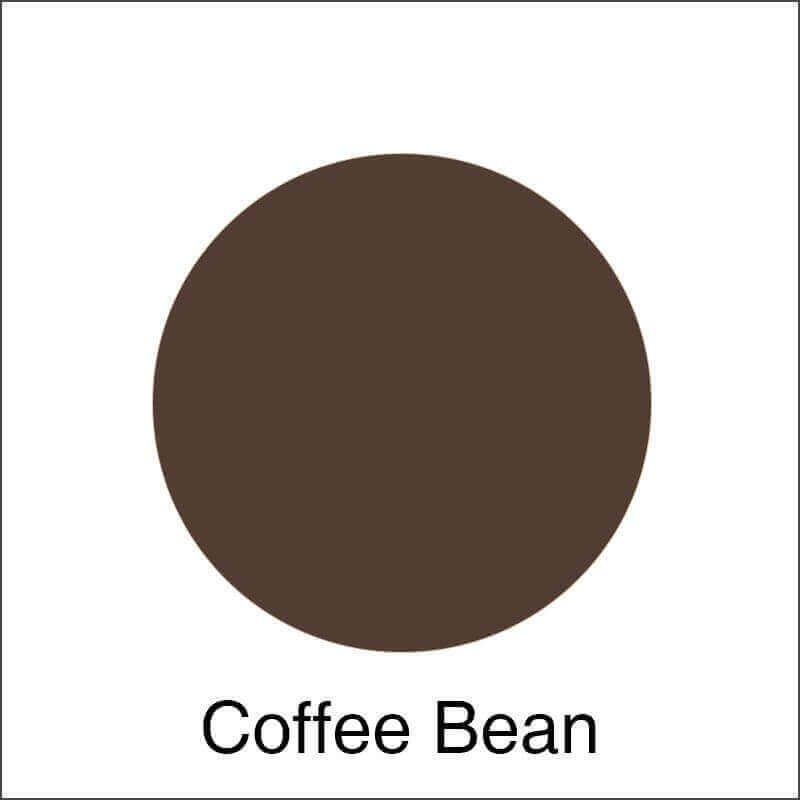 It goes on easily with no clumping, looks great and wears well. Meredith C.
Rachel Bloom 2017 Emmy's Beauty Breakdown by Celeb Makeup Artist @roxylook, who says "Thank you so much for the support with Rachel yesterday- the colors you sent to me worked PERFECTLY with her look and came out beautifully." For complete look, click here . For credits, click here. "For Rachel’s Emmys makeup look, I wanted to play up her eyes with a soft smoked, romantic look that would complement her beautiful Gucci gown. I first prepped her skin with moisturizer and serum to give me a soft and supple base create from. I then used Rejuva Minerals Luminous Creme Foundation in Macadamia Nut to even out her skin tone with a seamless finish. I set her foundation with Rejuva’s Multi Task powder to give her skin a flawless finish that allowed her skin to breathe and look naturally radiant. For her eyes it was all about soft layering. I started with Rejuva’s pressed mineral eyeshadow in Mocha Latte from her lash line to her crease, extending out to play up her gorgeous cateye shape. Next I used pressed mineral eyeshadow in Brazilian Brown in the out corners to add more dimension. I used Acai Berry on the center of her lids to give a soft pink romantic and fun twist to the classic smokey eye look. To add some highlight to her eyes I used pressed mineral eyeshadow in White Diamond on the very center of her lids and in the inner corners of her eyes. For liner I wet a sharp angled brush and used both Brazilian Brown and Moonless Night along both top and bottom lash lines. I extended Mocha Latte under her eyes a bit to balance it out from the top. I curled her long lashes and used Rejuva’s Water Resistant Mega Lash for more volume and length. Rachel was performing at the Emmy’s so it was important to use a water resistant mascara that would not run from sweat. To finish her look I swept on the perfect natural pink lipstick with a bit of highlight in it for dimension, "Champagne On Ice. Get Thicker Lashes - Review by Emily Alford, Contributing Editor of "Greatest"
Mascara is probably the most important element for an eye that pops. 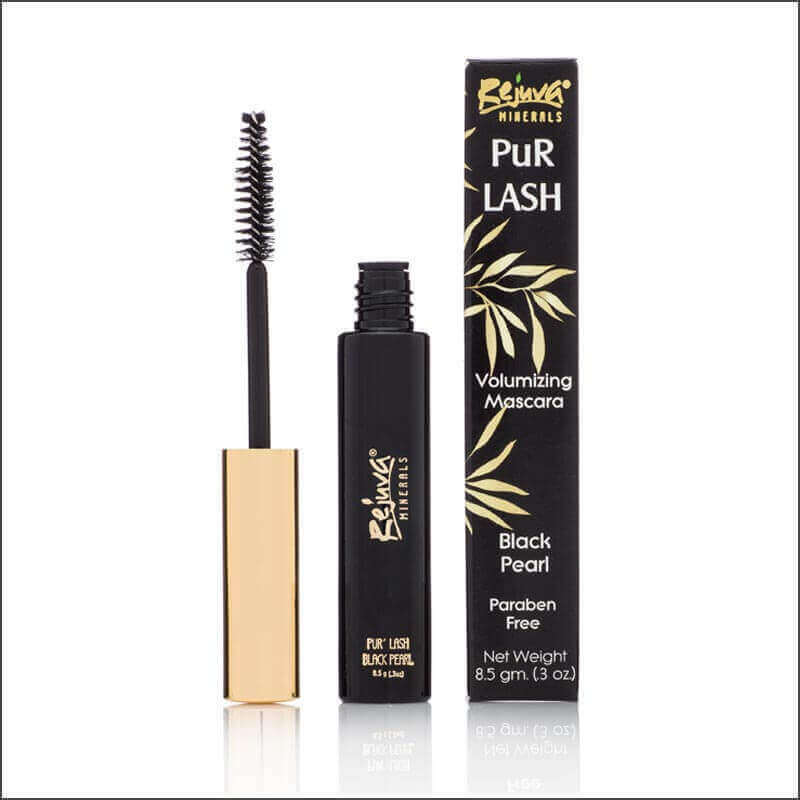 However, the ingredients that have kept mascara long-lasting and deeply pigmented have traditionally included parabens. "It coats the lash line so beautifully, and this product will open up your eyes instantly," she says. Rejuva is also organic, gluten-free, and vegan, darkening lashes without using parabens as preservatives.